Enter Chick-fil-A Operator Quincy L.A. Springs IV, who is opening the new Vine City Chick-fil-A in 2018. 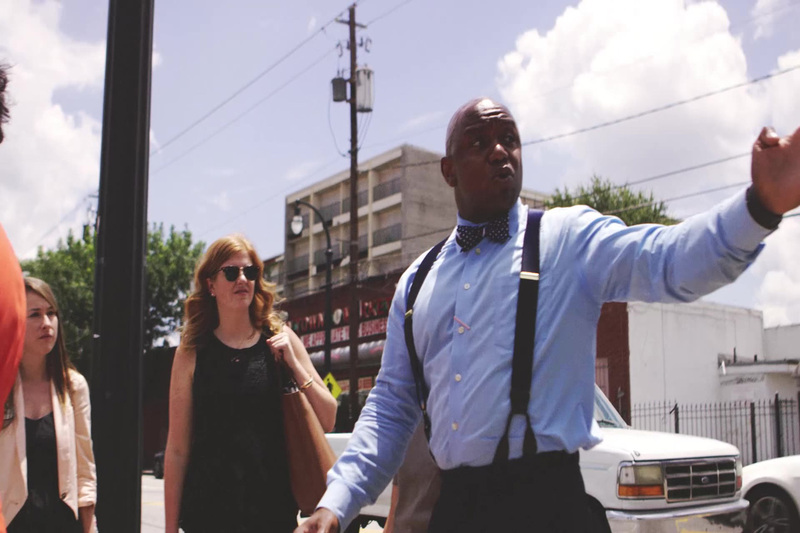 There’s no mistaking Springs’ passion for the historic Westside of Atlanta and its history – he can rattle off the names of the dozens of historic figures from the civil rights era who lived and worked in the community, he can drive the streets surrounding the restaurant site and point out the homes of these historic leaders, and, just as importantly, he knows the names of the people who call them home now. Although Springs was raised in Buchanan, Va., he’s become such a part of the fabric of this community that he could easily be mistaken for a native Atlantan. He graduated from Washington and Lee University and then served in the Army for eight years, achieving the rank of Captain and receiving several awards. Springs was deployed to various parts of the world, including one of his most notable positions serving as a combat advisor to approximately 900 Afghan soldiers for Afghanistan’s counter narcotics initiative. Due to years of divestment, one-third of the homes surrounding the new Chick-fil-A in Vine City are vacant, and 60 percent of the children here live in poverty. Springs is aiming to change those statistics as he becomes further involved in the community and builds his restaurant team. The Chick-fil-A Foundation also is working to support existing community organizations aimed at reviving the Westside. Prior to joining Chick-fil-A, Springs was the general manager of the neighboring Walmart. It was there that he began his mission to educate the community’s youth about the civil rights heroes who once were fixtures of the neighborhood. He notes with pride that Chick-fil-A Founder Truett Cathy also called the Westside home during his childhood. A mural inside Springs’ restaurant will be a constant reminder of those heroes from the neighborhood, featuring many of the leaders of the civil rights movement and will welcome guests as soon as they walk through the door. To inspire his team members even more, Springs plans to use Chick-fil-A’s scholarship initiative to help them attend college, whether at Spelman College, Morehouse College and Clark Atlanta University, which are right next to the Vine City Chick-fil-A, or at his alma mater, Washington and Lee University. He also hopes his approximately 70 full- and part-time team members will take the same lesson to heart that he learned from his first job – that hard work can be the best teacher – as he works to give them the same opportunities he’s received. When Quincy Springs opened his new Chick-fil-A restaurant in Atlanta’s Vine City neighborhood, the milestone was about much more than selling chicken.